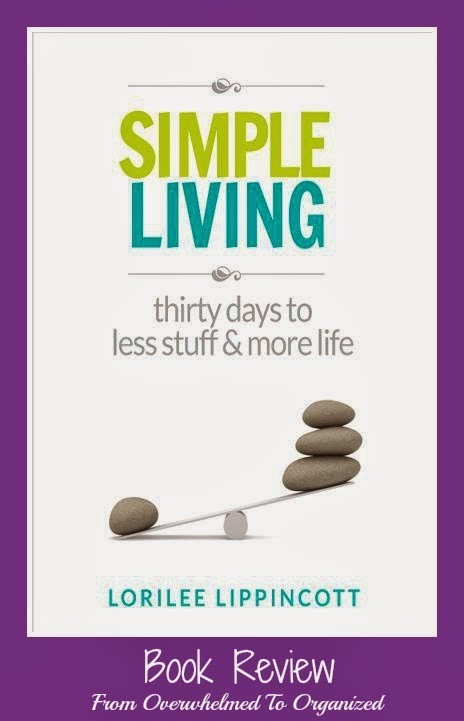 Simple Living: 30 Days to Less Stuff and More Life... Doesn't that sound wonderful?! The purpose of de-cluttering our lives is to make space for enjoying what we love. When everything else is out of the way, not tripping us or taking up our time and energy, we have time for what we love and value. Doesn't that sound beautiful? 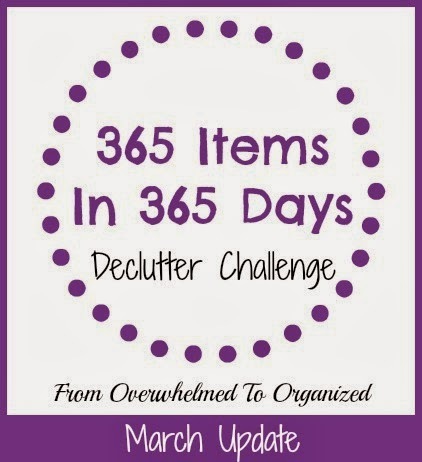 Even with all the decluttering I've done as part of the 365 Items in 365 Days Challenge, it's always good to be reminded on why I'm doing it. 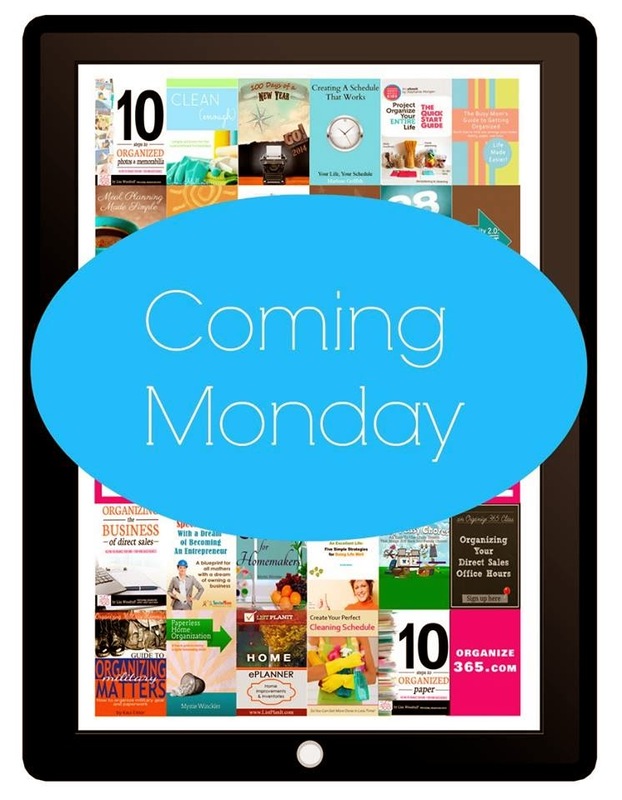 If you want a simpler life, read on! Today I'm sharing tips to help you organize your freezer. Whether you have a side-by-side freezer, a freezer above your fridge, or a freezer drawer below your fridge, you'll be able to apply these general tips. I've got a freezer above my fridge, so the pictures will be from that, but the principles are transferable. 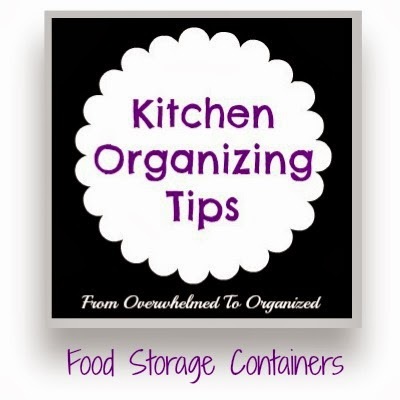 Is your food storage containers cupboard an avalanche waiting to happen? Can you easily find what you need when you need it? Do you have unmatched tops and bottoms? One of the most difficult cabinets or drawers to keep organized in any kitchen is often the Tupperware/plasticware/leftover containers zone. 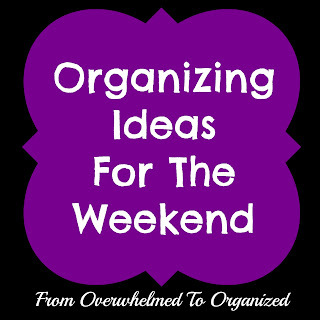 Even when you take time to neatly nest containers and organize the lids, it typically doesn't last. When containers are used and washed and ready to be put away, who takes the time to put them back as neatly as they were before? Most people toss them in and run. 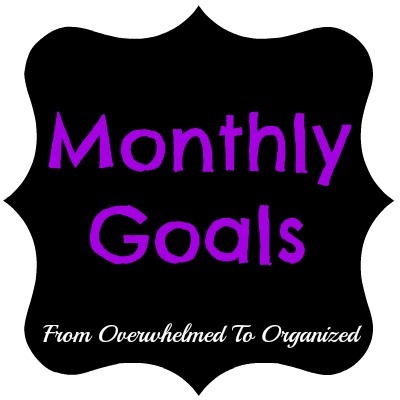 It doesn't take long to become an overwhelming mess! 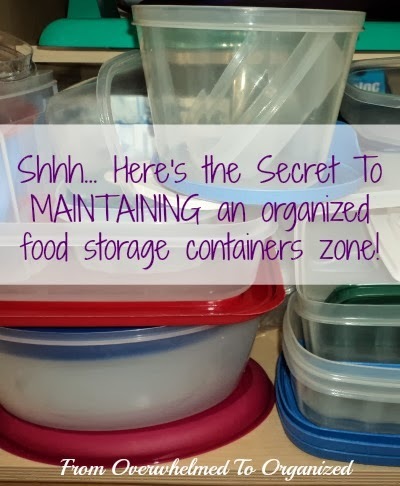 Want to know the secret to maintaining an organized food storage containers zone? Read on!